Maria Menounos is feeling a lot of agape (love) toward her parents following her traditional wedding in the village of her father’s birth. The popular television personality and author, who married Keven Undergaro on Saturday after initially saying “I do” in an impromptu New Year’s Eve ceremony last year, paid tribute to her parents Constantine and Litsa on Instagram, after her wedding in the tiny village of Akovo, in the Peloponnese. 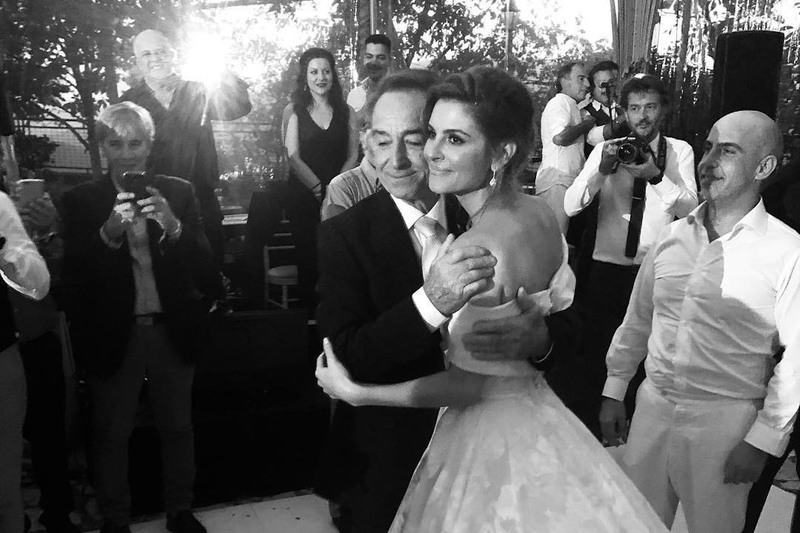 On Tuesday, Menounos, 40, posted a black-and-white photo dancing with her dad at the wedding.